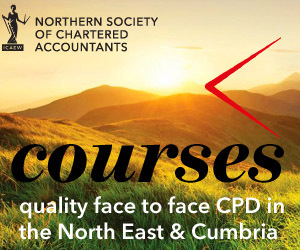 In June 2014 the ICAEW launched its 20 Principles for Good Spreadsheet Practice amid growing concern over the risks associated with the use of spreadsheets in all aspects of business. This course will concentrate on some practical tips and techniques to help reduce those risks and promote compliance with the 20 Principles. Some significant new features in Excel 2007, 2010 and 2013 will be covered, but most of the course will be relevant to users of any Excel version. The intention is to cover areas that provide real practical benefits which not only make spreadsheets more robust and more reliable, but also improve efficiency and performance. Please note, the course is not hands-on but comprehensive notes will be provided to allow you to explore the areas covered in more detail. The new workbook review and auditing tools in Excel 2013. What not to use Excel for. Why Excel can’t manage data. How best to get your data into Excel. Auditing tools – Excel’s built in error-checking and why you shouldn’t rely on it. The Formula Auditing tools and other techniques to reveal errors and inconsistencies. Simon Hurst is a Chartered Accountant that has been involved in computer software for 16 years. His training organisation, The Knowledge Base, provides a wide range of training and consultancy services to accountants and other professionals.